The MLB passed down information that scorned Angels outfielder Josh Hamilton will not face a suspension, stating that the “one-time” lapse in judgment does not change his rehab process. I consider this a massive error in judgment. 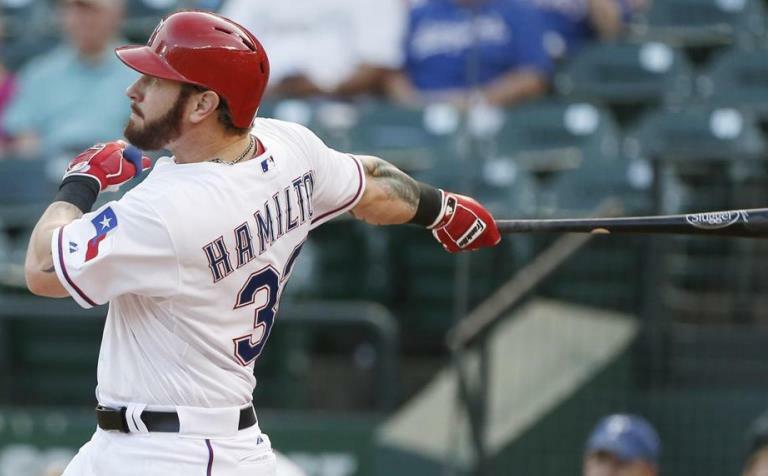 Josh Hamilton will be rewarded this year’s full salary at an incredible $23 million, showing that the league has a bit of leniency when it comes to their own policies. This, in my opinion, opens the doors to a while mess of trouble, particularly when it comes to performance enhancing drugs. I’ll skip right by the fact that the Angels have to pay a ridiculous amount of money for Josh Hamilton (it’s their fault, they signed him) and move straight to my point. If the league is willing to consider “one-time use” a forgivable offense, are they then ready to give first time PED offenders the same consideration? In the current CBA for Major League Baseball, the punishment for the first failed PED test is 80 games. To reference what that means, 80 games is roughly half of a season. The first offense for any other banned substance is 15-30 games. By eliminating the punishment for Josh Hamilton entirely, MLB has somewhat backed themselves into a corner. Let’s say that a rookie player, we’ll call him Kris Bryant because that’s a hot button issue already, tests positive for PED’s, will he face the regular 80-game suspension? I’m a little hesitant to move right past the part where Hamilton is a very poor representative for the MLB, because that part seemed obvious already. However, how are young, impressionable youths supposed to respond to this? They can take away that it is acceptable to break rules and laws, then just get away with it without even so much as a slap on the wrist. The Angels are doing all that they can, but the door has just been opened for chaos, and I for one am not looking forward to what could happen because of it. Be sure to enter our contest to win a free t-shirt or other cool Broncos Freaks prizes! To enter all you need to do is sign up for our newsletter and you will be entered automatically!